Mark is an experienced coach at Yate Athletic club, previously coaching at Cirencester Running Club. 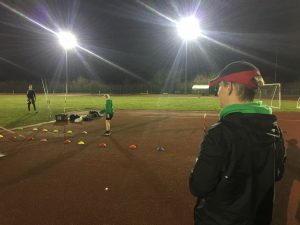 He is currently coaching U13 athletes in the Yate Academy and also specialise as a Javelin coach. Fully qualified Athletic Coach specialising in Javelin. Attended numerous technical workshops and events to gain knowledge and experience in throws disciplines. Also a keen interest in coaching middle and long distance due to his experience as a long distance athlete completing a number of half and full marathons. 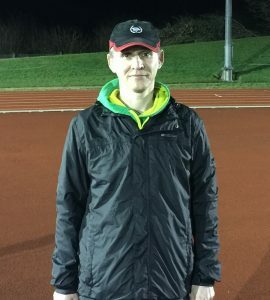 Team Manager for U17 boys Avon Track & Field League. Academy sessions are designed as a introduction to athletics and the numerous events available..
Javelin sessions are designed for athletes keen on either developing or learning a new event. Specially targeted towards athletes who are keen to compete for Yate AC.